How to convert files from PNG images to PDF? 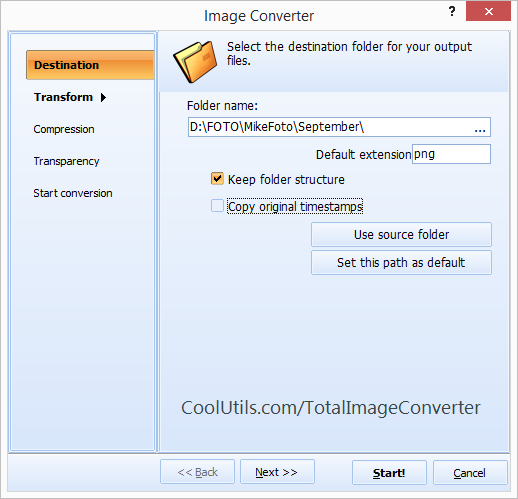 You are here: CoolUtils > Total Image Converter > How to convert files from PNG images to PDF? PDF is a very compact, platform-independent and therefore handy format to save images and documents in. Luckily, there is as handy and compact image converter out there, which you can use to transform PNG into PDF. Versatile and lightweight, it saves your time and energy. 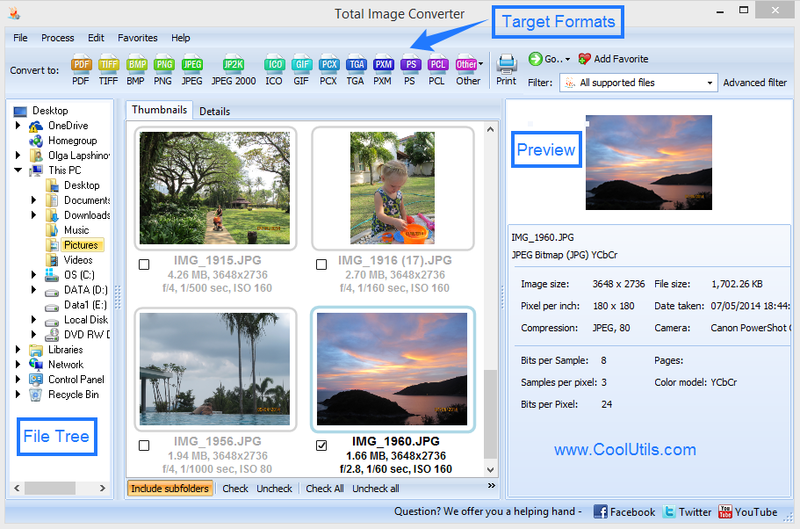 It is Total Image Converter. The interface is structured to guide you through the procedure, which is very simple. Just specify target format and apply settings according to your individual preferences and requirements. Use the multiple editing tools and functions and shape your PDF files as you like. 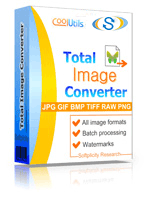 Install our PNG PDF converter and convert PNG files in batch. Make PNG into PDF with Ease! Launch the program and click the folder with PNG files. You can find the folder in the folder tree. All the PNG files stored in the folder will be displayed either as thumbnails or as diminished image versions (this is optional). To convert a single image, click on its checkbox to check it. To process the entire batch, press the Check all button. A check-mark in a particular file's checkbox suggests that the file is subject to conversion and will be processed as soon as you launch conversion. Subfolders contained in the folder are also supplied with checkboxes and therefore can be check-marked. All the PNGs contained in a checked subfolder are subject to conversion too. Select PDF in the toolbar with target formats or in the Convert menu. Through the wizard, you can specify the destination path, apply transform options (crop, rotate, resize), PDF options (compression, paper, paper orientation, properties) and watermarks (logos, frames and comments). Preview your images with the help of a built-in viewer. Use command line to convert PNG to PDF from within all sorts of programs. Download the free demo version and make your own opinion.To get a better idea of this program's potential, download the free 30-day version from our site and try it. Most likely, this will make you want to purchase it right now! Convert PNG to PCL in batches. How to convert images from PNG to PCX? How to convert PNG to TIFF professionally? How to save PNG as GIF and get neat output?